After a lot of sweat and toil I finally got these to look right in game. 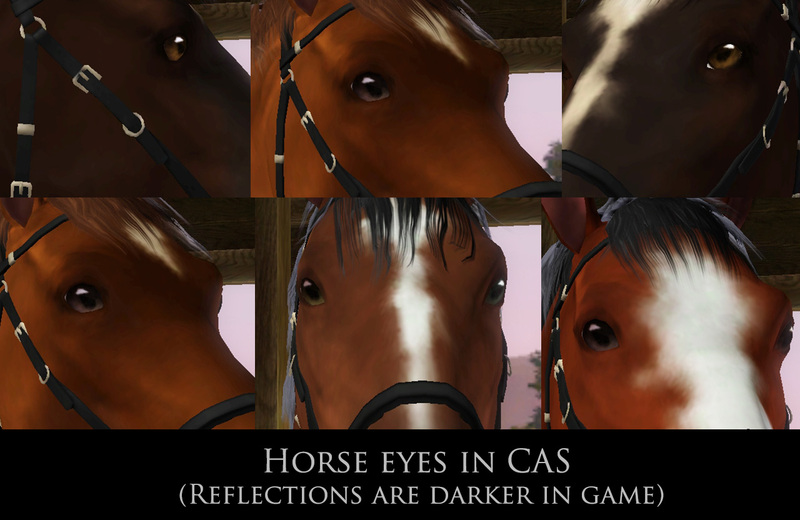 These are defaults for horse eyes as well as EA Sims eyes minus reflections. The latter can be used to troubleshoot if you so choose to. THIS MAY NOT MODIFY EXISTING horses. Pre-existing sims may become attached to their specific textures. 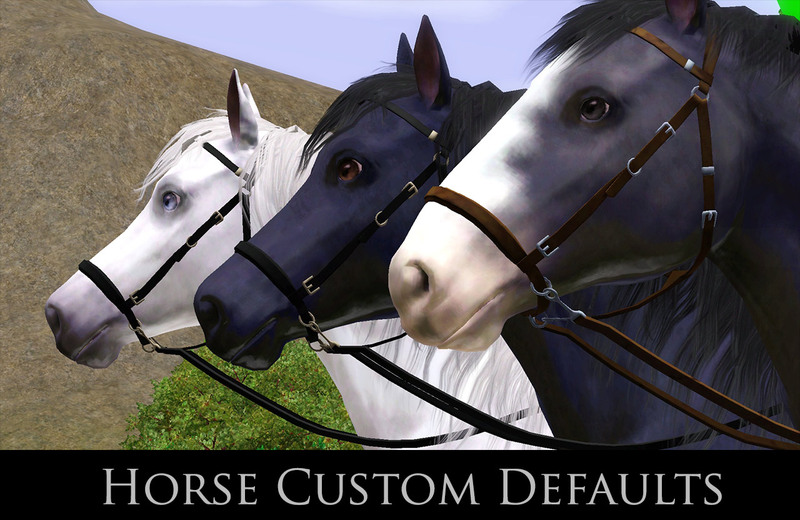 You can try clearing your cache or if you want to modify existing horses you must use either awesome mod or twallan's mastercontroller and edit the sim. If in doubt clear your cache. To do this either do a search for *cache* files or use Sims 3 Dashboard and from the pulldown menu view cache files and clear all. Be sure that you have updated to the latest patches and also that you confirm that your computer can handle extra load, and ensure that you are not using the integrated graphics card. 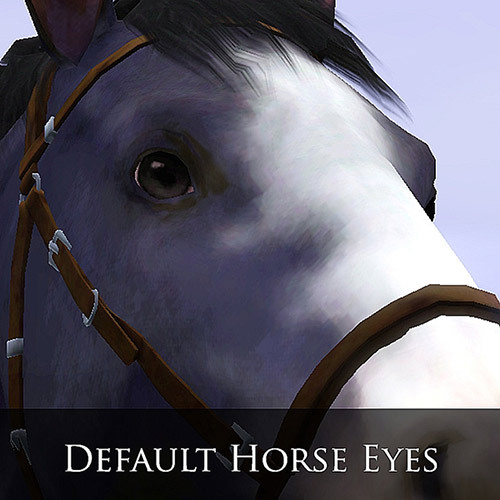 If your system can just barely run the Sims 3 on minimal settings you may freeze or not respond when editing eyes. It is likely munching or chewing on the file. This does NOT in any way shape or form edit the UI and only replaces GEOM and IMG files. 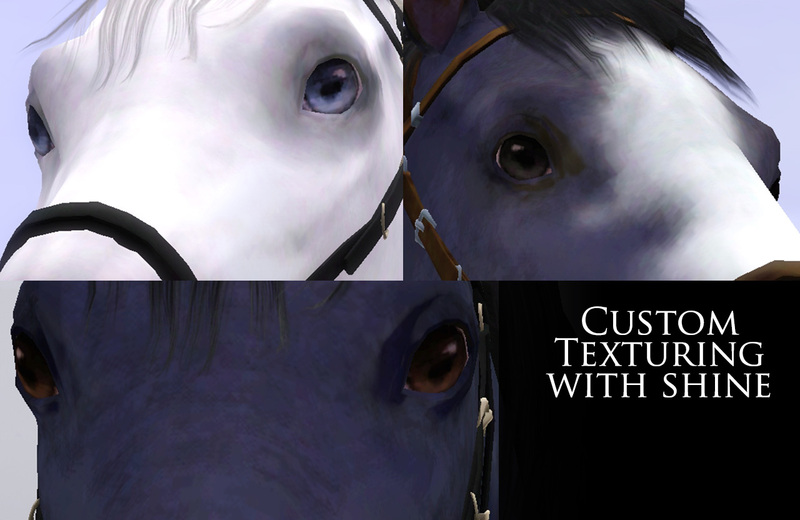 If your horse eyes are too dark or light and you've already tried playing with the colors post here. Choose only ONE zip file, either the fix or the defaults. 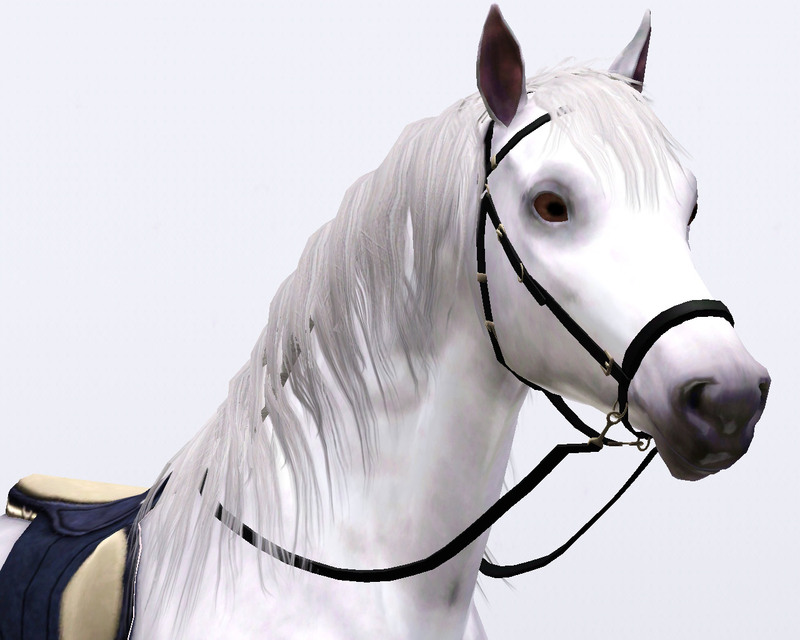 Plop this in your packages folder, clear your cache using Sims 3 Dashboard and you're ready to go. Check to see how to install mods if this is your first time. Use only one of the zips NOT both!